It's about becoming relevant and popular in what seems to be a short matter of time. What most people in the general public don't realize that these pop phenomenas take strategic months/years of planning along with a good PR team to develop. I'll take this time to go over the "love it or hate it" Miley #teamtwerk craze and show you how a good marketing plan can help your business get more attention and success. The best part is, you don't even have to be dancing around in an oversized teddy bear costume with a foam finger!!! Now you might think because Miley was pretty well known before this complete 180 degree turn-a-round in persona, that her marketing route won't work for you but that's where you're wrong! It's about doing your research, creating a strategic buzz or hype around your company, a full fledged launch, and gaining even more attention by saving some surprises for later on. Miley, before the release of her first single off of her latest album was releasing what seemed to be random but fun viral videos of her dancing or twerking in funny costumes. She planned on releasing a more urban geared album and needed to gain the attention of that audience who normally wouldn't be drawn to her, that's where the viral videos came into play! This is part of your initial research before launching your company. Learning who your audience is and what their habits are. Reaching out and interacting with them in their own social environments is a must! This means checking out or taking part in events, conferences, conventions, online blogs/websites, and expos where you can meet and network with potential clients or buyers of your product. Take your time in this phase. The more people "discover" you the greater the chance they may take an interest in your company and potentially start telling other people about what you're doing. It's obvious that the more people know about you the more potential business you may have only if you're targeting the right people. This must be done at the same time you're finishing or polishing up your main business whether it be a website, store, or album. Once you notice people are getting excited about who you are and what your product is, it's time for a soft launch! Your first single can be phase 1 of your website where you have everything working just right but know that there may be a need for improvements depending on the feedback and traffic you are receiving. Here is where you do even more promoting of your business, but more quickly. Create your own events or become sponsors of popular events where a good amount of your audience will be plus other new demographic audiences. You will start to see people outside of your target audience getting interested in your product. Stay open to feedback and plan for adjustments to keep everything running smoothly. You have their attention so now it's time to come at them LIKE A WRECKING BALL!!! This will be more of a grand opening or full launch of your company. Come at them with a complete error free website and full service catalogue or clear and concise call to action. By this time you'll feel more confident in your product because of the success you were seeing in the previous phases. You have their attention and it's your time to deliver on the excitement you've created!!! It's more than having a good end product and just putting it out to the public. You know the old saying of "if you build it they will come", well "they" may not find you because they may not know you exist! You first have to take the time to do your research, create an awareness of your brand, launch your company, then promote, and fine tune it as you go. Once you're at the top, it's up to you to hold on to that status by investing in on-going marketing for company. It was long journey getting up there, why would you even want to start to slack off now? The internet is overrun with content streaming and updating every second of every minute of every day. Intelligently planned SEO (search engine optimization) strategy and management can funnel users through the digital deluge straight to your company’s website, but once you have their attention it’s crucial you provide them with value or they may never return. People love the access to information the internet provides and 8 out of 10 of consumers hit the web to research when they are in the market to purchase goods and services. But competition is fierce and if you do not stand apart from the crowd, you will be drowned out by the onslaught of content crowding the internet. Most users suffer from content overload and you really have one chance to make your impression or they will move on to your competitors. How do you keep them coming back? That’s simple, but not always easy: create value with your website. 1. Provide information that helps people. To determine what information is helpful to people try this effective technique: Pretend you're a visitor and imagine what you would want to know and what information you would want to come away having learned after interacting with your website. This seems simple at first, but there are subtle and sometimes unobvious subconscious decisions that your visitors are making. Try to get in their heads and really think about what would make them, not you happy. 2. Have a purpose and a way to measure your progress. Think of your website as your online ambassador. It represents you every second of every day, while you're sleeping, away on business, or offline. What do you want your ambassador to say to people who are interested in what you do and what you sell? What is your goal? Do you want your brand ambassador to generate sales or leads? How many and by when? Be specific in outlining your objectives so you can set up benchmarks and monitor your progress. If you are not hitting your marks, it’s a good indication that it’s time to make some changes to your content, online marketing, or SEO strategy. 3. Give or create something specific. General information is for Wikipedia; you want people to gain measureable value from spending time on your site. Be specific in what you are communicating so people come away with a clear understanding of what they accomplished, learned or gained. Tools help you maximize your web presence. Of all the sites they could end up at, your visitors came to yours; why let them leave without knowing who they are and taking the time to see what their interests and needs are? One way to do this is to use a newsletter sign up that captures their email addresses and maybe a few additional pieces of information. For the cost of providing a weekly or monthly newsletter you gain valuable leads and priceless market research. 5. Always include a Call to Action. Make it easy for your website visitors; let them know what to do next if they are interested in finding out more, taking advantage of a special discount or promotion, or talking to a representative from your business. CTAs can be designed to run with new product launches, special promotions, your current marketing campaign, or key industry events. Even if you are not offering a specific offer, you can suggest they click on a link to take your desired conversion action. You need to know what specific behavior you want a visitor to engage in on your site to consider it a successful visit. Then invite them to do so, that’s your call to action. 6. Connect to your Social Networking Sites. Invite your visitors to engage with your brand through the social sites where they spend their time. This takes the one way message of your website and makes it an interactive experience by opening the door to a conversation via Twitter, Facebook, LinkedIn, Pinterest, or whichever social networks your company uses. It's important to pick and choose which networks you really plan to use, then stick with it, even if you only write an update once a month. Fresh content improves SEO while establishing your brand as a resource and leader. Additionally, if you continually update your site with new blog articles it provides a reason for people to revisit your site on an on-going basis, creating a relationship with your readers. 8. Use images and text to communicate your message. Multimedia makes for a more satisfying and engaging experience. If you can use images to enhance your message, go for it. If you can offer video content too, then even better. Internet users are becoming accustomed to photos and videos and the more variety of media you offer the more enticing your message. Images also help communicate the message you're saying faster and in a more friendly way when used correctly. 9. Use images as part of your navigation on your homepage. People should be able to click on an image or icon to navigate through your website to improve the ease of use. This is especially true on your homepage. Some people are visual and may prefer to navigate using images so be sure your images are clickable and reinforce the natural navigation structure and flow of your site. 10. Plan your pages and content. This requires that you have your objectives clearly defined. Once you know what you want your site to offer and what you want your digital presence to achieve, you can plan your pages and content to accomplish your goals. As your goals change and evolve with your business and the marketplace, you should update your site and revise it accordingly. 11. Have your contact info on every page. Make it as convenient as possible for visitors to get ahold of you when they are ready to take the next step and contact you. Establish the method of contact that works best for your business and have it appear on every page. Have you ever been to a website and not been able to find the phone number? That’s an easy way to lose a client or give the impression you're not eager to receive calls. Don’t require too much work on behalf of your visitors, because they may lose interest or delay contact. Think about websites you've used recently and where you had to look on their site to find the phone number. 12. Make your homepage user-friendly. 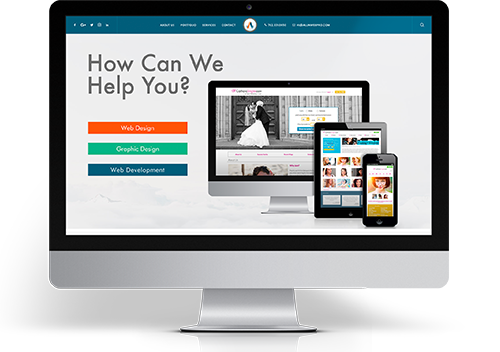 Your site should be easy to navigate, streamlined and not overly cluttered. A web page that a visitor can glance at and have a clear idea of who you are and what you do is ideal. You only have a short amount of time to convey your message and if it takes too much of an effort to comprehend, or more than 2 or 3 seconds to figure out how to navigate your site, guests will move on. As a Las Vegas SEO and web development company helping local and national companies build their brands online we are always interested in hearing about the experiences others have had with user-friendly design and invite you to comment or email us any questions you have or topics you are interested in and we’ll do our best to include them in our upcoming blog posts. And feel free to let us know anything we might have missed or anything that has successfully created value for your users which could help others. In our Digital Age, the success of your business depends on getting noticed online. With 83% of U.S. consumers researching online before they make purchases, and 80% of global consumers doing the same, being found on the internet is tied to your survival in your marketplace. If your customers are not clicking on your website link and coming to you when they are searching for the products or services your company provides, they are locating and interacting with your competitor. As the numbers of consumers doing primary research on the internet before they buy continue to rise year by year, being easily accessible online will only become more crucial. Being among the first search results in your category is the only way to guarantee consumers interested in what you do and what you sell will be able to discover your company. In fact, on any Google search page in organic results the #1 ranked link gets 33% of clicks, the #2 receives 22%, the #3 grabs 11%, #4 nabs 7%, on down until #10 only catches 1-3% of clicks. The conclusion is strikingly apparent—your website must live on the prime real estate of the top of the Google page or you will drown into the oblivion. Why is SEO imperative to the success of your business? Because if you want to be around in 5 years you have to stand out from your competition so consumers find you, and not them. But fear not, there are easy methods to boost you to the top of the search rankings for those keywords that represent the services you provide and products you sell. You need to know where you rank, and checking your SERP for your top 10 keywords is a great way to know exactly how you stack up against the competition. SERP is an important acronym to know if you’re doing any online marketing campaign. "SERP" is short for "search engine results page", and since marketing through search is a dominant factor in online marketing, you need to be aware of how you measure up to your competitors, and not for just one keyword, but for all of them. This will tell you where you stand and allow you to gauge how well each SEO strategy you implement works. Getting easy to access measurable feedback will help you see what’s working well over time and what isn’t. We recommend using micrositemasters.com to easily track the ranking of your top 10 keywords for free. We can also provide and manage this for you if needed. Create a digital trail by linking to your website everywhere you go: in profile pages, social media interactions, blog comments, articles, friends' websites, your competitors sites, social networks, and any other websites that show up in relevant Google searches. Don’t forget to ask others to link to you (especially if you guest blog or participate in a speaking engagement, panel, seminar or other industry event). Always be genuine and don’t be a “sales person”. Update the content on your web pages annually and be sure to remove or change any content that is outdated or incorrect. By recycling older, popular blog posts you can get extra mileage out of them. If industry updates and changes have occurred, you can create a new blog post by piggybacking off the original article. Also, keep your web content current so consumers are confident you are a leader with your finger on the pulse of your market. 4. Build more unique content. Have little to no original text content on your webpages will hurt your ranking in Google. If you say the same thing over and over, even if you change some wording and sentence organization, search engines will also identify it as not adding new value and may penalize you for it too. Conversely, the more original and unique content you have that brings new value to your visitors, the higher you will rank on relevant search engine results pages. The more new original content you have, the better. Regardless of what type of website or business you have there are websites where people can write reviews about you. Take advantage of the opportunity to let your best customers and fans write something nice about you on those websites. If you're a restaurant Yelp is an obvious place for this. Any location based website can ask their clients to write reviews for them on their Google Places page. It's easy to ask, and there's a special kind of emotional reward that only comes from being asked to "give" something nice to a company or brand you love. You'll be surprised how many people will do this for you, IF you ask. Even if your competition knows all of the best SEO techniques, none of it matters unless you take the time to put it into practice. Setting a long-term and achievable goal might just be the most powerful tool in your SEO arsenal. Set a Weekly Goal; make sure your weekly goal is easy to achieve, don't shoot for the moon. The hardest step is the first one, so make sure it's easy for you to accomplish your weekly goal in a short amount of time and that you have easy ways to measure the progress you're making. Develop a Plan; great goals are nothing without a solid plan for how to execute them. Be sure to plan exactly how you'll have time to achieve your weekly goal and to be patient with yourself and don't expect perfection on the first try. The more you do it the better you'll get. Follow-through; create an incentive and accountability system for yourself. Put reminders up where you will see them, and set consequences that help ensure that if you do skip a goal, that you can easily catch up and get back on track. If it means skipping a Friday night out, so be it, your business and brand is worth it, and once you make a sacrifice, you'll be less likely to skip your goal from that point on. Or tell your colleagues and friends that you're setting a goal and want them to hold you to it, make them a bet and get others involved. At the heart of SEO there is a search engine trying its best to analyze webpages and bring the public the most relevant and valuable information according to each and every unique search that's performed. And if you use these tips wisely and develop them into habits that you put into practice on a consistent basis, you'll be guaranteed to start noticing significant and consistent improvements in your search engine rankings that will stand the test of time and make these search engine happy. And it goes without saying that you should always keep the need and experience of your end user in mind because ultimately the quality of their experience on your website will determine your future. SEO can be complicated and overwhelming at times, and we recommend consulting a trained professional before starting any SEO campaign. If you need help implementing any of these techniques into your online strategy please contact us for a free SEO consultation and we'll be happy to assist you.